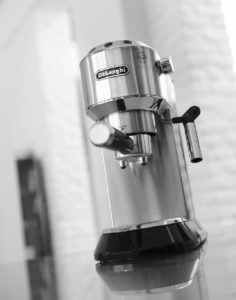 When it comes to buying a home espresso maker, the task can be quite challenging since there are several brands in the market. However, no matter how overwhelmed you might be when making a choice, quality should always be the key factor to consider. With that said, two major espresso makers compete regarding features and performance, DeLonghi dedica and Gaggia Classic. The two make great choice espresso makers for beginners, but before we go into details about that, we are going to look at their specific features. Delonghi is your go to coffeemaker if you want convenience in producing a quality cup of coffee every time. The features below should convince you further. It has an automatic flow, but you also have the choice to use manual controls. It is very slim which helps it save on counter space. It takes approx. 6” space. It uses a 15 bar pressure pump. It comes with pre-set espresso measurements which you have the freedom to change later to match your preferences. It has 40 seconds start time hence saves you time. The Italian designed Gaggia is stylish with classic designs, and on top of that, it has several desirable features that are worth mentioning. What makes these espresso machines suitable for beginners? If you are considering prices, these two coffee makers are not the cheapest you can come around, but their features make them worth trying. That is reason enough to doubt why they make suitable machines for beginners. As you may already know, brewing takes the time to master, and you need a coffee maker that will assist you in developing the skills. Delonghi Dedica and Gaggia Classic are two coffee makers that give you an opportunity to take control of your brewing either manually or automatically. Additionally, the two are also quality brands that you can use for a long time before you can consider upgrading. With their desirable features, they are two types of machines that are not dispensable for a long time, even after you have perfected your brewing skills. Whichever you choose between the two, you have the assurance of developing your skills and continue producing quality espresso shots long after learning. What is the difference between Delonghi Dedica and Gaggia Classic? Which one espresso maker should you buy? As earlier mentioned, both espresso makers are suitable for beginners, and you can grow with them without considering and upgrade. However, your personal preferences should guide you into making a choice on which coffee maker suits you best. Delonghi Dedica offers you an unfailing way of making your cup of coffee. With the preset programmability, you have the freedom to brew your cup of coffee quickly, and if you want to learn brewing step by step, you have the freedom to change into manual settings. If you have a small kitchen counter, then this coffee maker is your best option considering its small size. 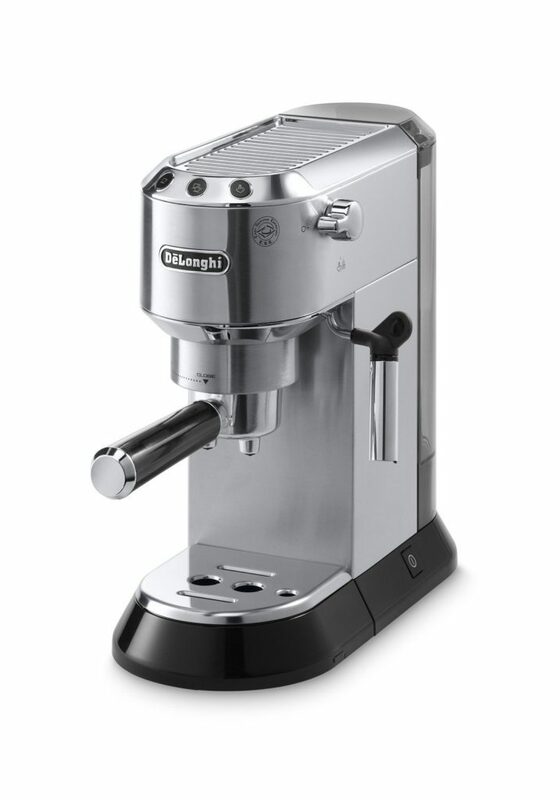 We include Delonghi Dedica espresso machine in our list Best espresso makers under 300 dollars. Price is better (lower)than Gaggia for sure. On the other hand, if you want to learn the brewing skills step by step, then Gaggia Classic is your best choice coffee maker. Additionally, the temperature stabilizing features allows you to produce better quality espresso shots. However, you should realize that Gaggia Classic is fully manual and hence requires a lot of time to learn, but once you do, you will be able to produce quality cup of espresso. 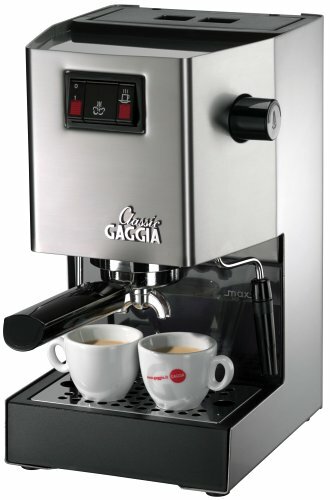 Once you buy this coffee maker, you get a one-year warranty from Gaggia.